London is a haven for art lovers. 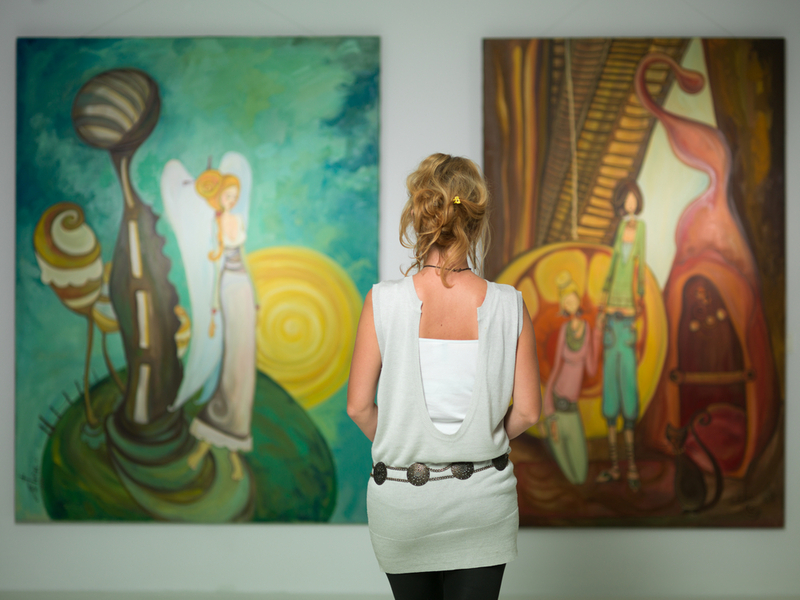 With hundreds of galleries, most of them absolutely free to enter, travellers can wander in to look at masterpieces, modern art, sculpture and everything in between. Smart travellers and art addicts who want to see the latest shows without being kept up all night by noisy neighbours tend to book hotels near Bayswater Tube station. Although it’s still central, it’s quieter than a hotel in the centre of Soho, and being close to the Tube means that getting places by day is a breeze. Tom Burr is exhibiting at the Maureen Paley gallery in Bethnal Green until the 23rd of July. His show, ‘Stages’, is all about personal access, how to keep parts of yourself hidden from view in an increasingly public world, and the masks we wear in our day-to-day lives. Gabriel Kuri shows at Sadie Coles in Soho again until the 19th of August. ‘Afterthought is Never Binary’ is the name of his show, which is full of steel boxes, tables, magnetic wall panels and more. He plays with structure to ask questions of the audience. This is his third show at Sadie Coles. ‘A Handful of Dust’ is in the Whitechapel Gallery until September. The curator, David Campany, used American artist Man Ray’s work as a jumping-off point; he’s invited artists including Marcel Duchamp, Mona Kuhn, Aaron Siskind, Jeff Wall and more to take part in this photography exhibition. The subject is dust; what the photographers do with it is up to them. The closest gallery to hotels near Bayswater Tube station is probably the Serpentine Sackler Gallery; they’re showing the work of US filmmaker, Arthur Jafa, until September. The show, ‘A Series of Utterly Improbable, Yet Extraordinary Renditions’, looks at identity and race in America. Visit the Victoria Miro gallery on St. George Street, Mayfair, London, to see this collection of work from ‘the modern Matisse’ Milton Avery. It’s the first time his work’s been in London for over ten years. The artist’s life spanned 1885 – 1965, and the works on display are from throughout his career. You have until the 29th of July to catch the exhibition. Tate Modern has an exhibition about the Black Power movement in America. ‘Soul of a Nation: Art in the Age of Black Power’ runs from 12th July – 22nd October, beginning from 1963 and the beginnings of Black Power, through 150 artworks. With big American names like Norman Lewis, Romare Bearden, Lorraine O’Grady and more, over 50 artists based in the USA have work in this exhibition. The Philip Guston exhibition running at Hauser and Wirth in Savile Row until the 29th of July is titled, ominously, ‘Laughter in the Dark, Drawings from 1971 and 1975.’ The artist wasn’t a fan of Nixon, and when the politician started dragging America through a rough period, he turned away from painting and towards satire. With so many incredible art galleries in London, don’t just visit the ones that everyone has heard of. Find the best American art in London this month! Share the post "The best places to see American art in London this month"
This entry was posted in London Event and tagged American art in London, London events. Bookmark the permalink.